Cheryl joined CJC in a full time position in March 2007 as a Program Assistant. Now, as Administrator of CJC’s Frontline Focus Training Institute, Cheryl provides support to the Frontline Focus Training programs, ensuring that training logistics are in order and run smoothly. You also may get a call or email from Cheryl about CJC membership, which she handles. 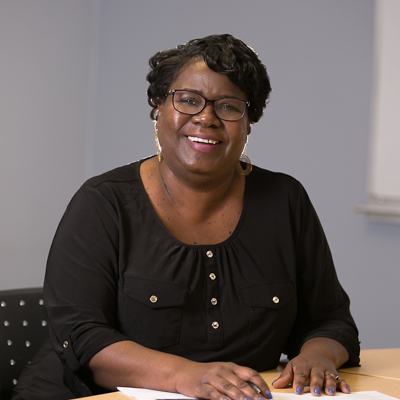 Prior to joining CJC full time, Cheryl worked as the Receptionist/Office Manager for CJC and the Chicago Community Loan Fund where she oversaw general office operations, managed the switchboard, and ensured that all guests were warmly greeted and welcomed. Cheryl has always had a passion for helping others. Ask Cheryl about her grandchildren and she can go on for days.